There is one postpartum hack that’s very near and dear to my heart. I’d even go so far to say that changed my life and made a huge impact on those early newborn days! Without a doubt, the newborn stage is one of the hardest and sweetest times in a mama’s life. It’s exhausting, yet rewarding—confusing, yet exhilarating. 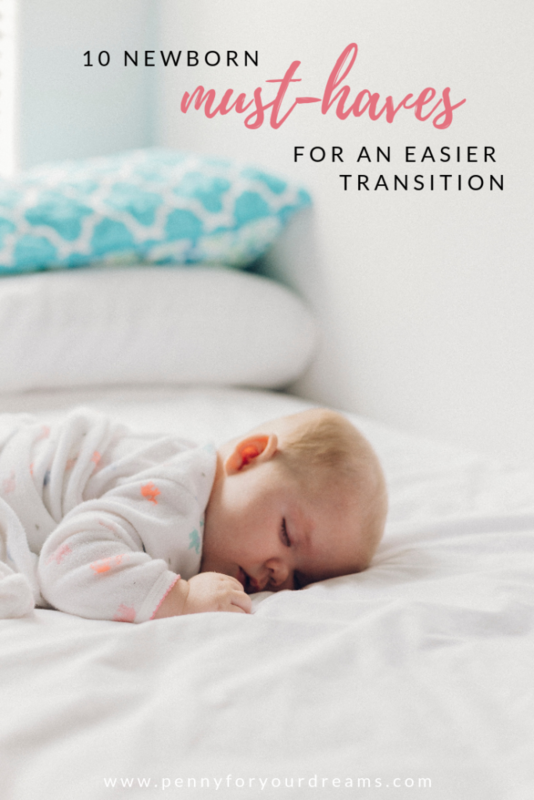 You want to spend as much time as you can soaking up those newborn cuddles, listening to their soft squeaky sounds, and watching for their little firsts. The difficulty is that while you’re adjusting and trying to heal, life goes on. There’s still laundry to do—and more of it now. 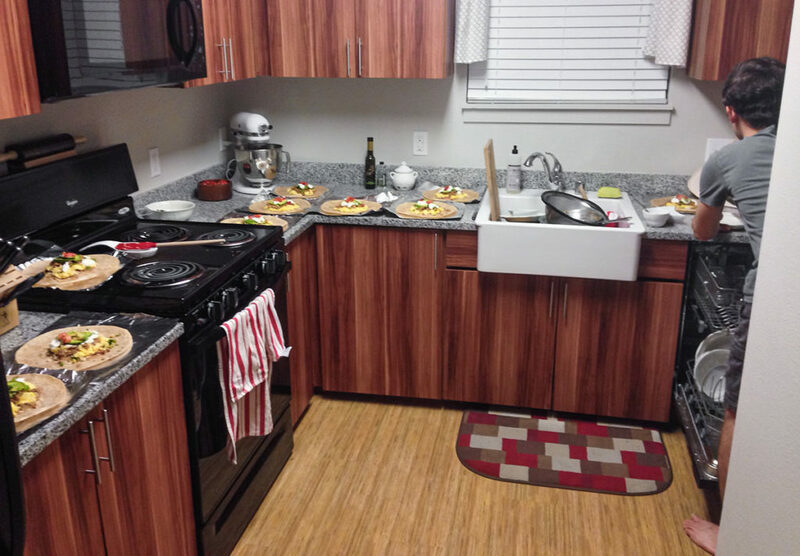 The dishes are likely to pile up in the sink. The house probably won’t stay as clean. And then there’s cooking. You still need to eat three times a day, preferably food that will nourish your body and your baby. Despite all of these things calling for your attention, what you want more than anything is time to focus on getting to know the squishy bundle who’s changing your world! Okay, that and some extra sleep. Like many families, we were blessed to receive meals from friends and family through a meal train. Those home-cooked dinners are such a gift! But after a while, meal train ends and the cooking responsibility becomes yours again. Enter: the postpartum hack that changed my life! Before our firstborn arrived, my husband and I bought a chest freezer. 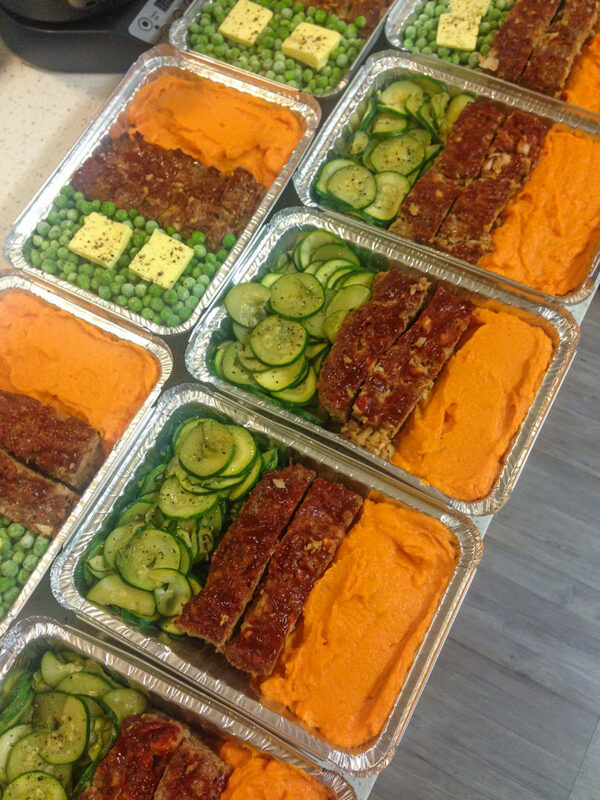 We wanted to prepare lots of freezer meals so that we wouldn’t have to be worried about cooking for a good long while. So we put together 30 dinners, 30 lunches, several dozen muffins, and several dozen lactation cookies! We wanted to be prepared for an entire month. Because, you know—we’re over-achievers like that. We knew those meals would come in handy, but we little realized just how much we would rely on—and appreciate—them. I had a very slow recovery. It took me weeks just to be able to sit up properly or stand for more than a few minutes at a time. In addition to the major bruising I had from 3.5 hours of pushing, I was still dealing with a difficult chronic illness. Having nourishing comfort food that we could just pop into the oven or slow cooker was a bigger blessing than we could have imagined. Not blowing the dining budget on takeout. We were left with extra time to rest, take showers, figure out our new normal, and simply enjoy our tiny new baby. Not even needing to think about cooking during those first postpartum weeks removed so much stress and pressure. Even though I truly love to cook, having a long break filled those early days with joy and rest. 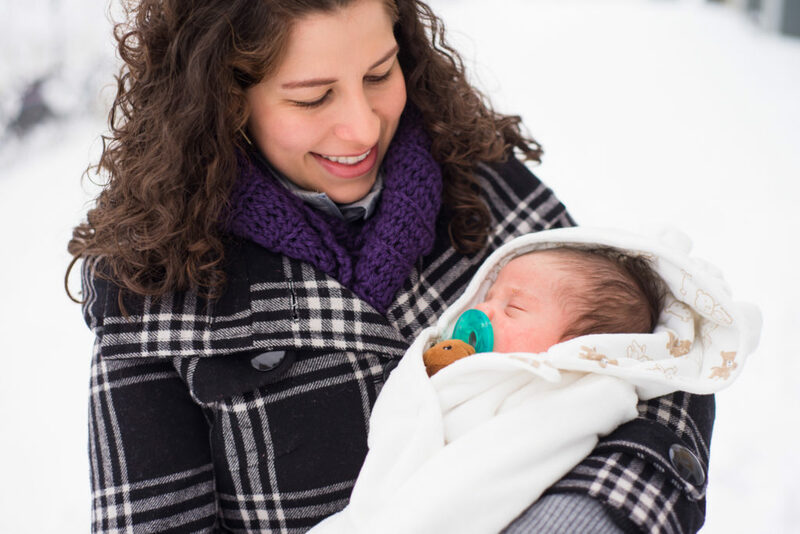 I had more time to recover and get to know my newborn—and for that, I am so grateful! The chest freezer we purchased was a little over $100—basically the cost several takeout meals. It’s a worthwhile investment in your budget, your health, and your future. We didn’t have a large area to store our freezer, but we made it work. Our tiny apartment was already tight, but we were able to make some space in the dining area. I tried decorating around it, hoping to make it look a little less like what it actually was, which helped. There hasn’t been a single day that we regretted buying our chest freezer! Once we’d eaten through our freezer meal stash, we used it for stocking up on meat sales, stashing berries during berry-picking season, and storing more freezer meals. It’s actually saved us quite a lot of money over the years! After a few weeks of preparing freezer meals, you start feeling like a squirrel hiding nuts for the winter! Here are a few tips I wish I’d known in the beginning. For starters, decide on the number of breakfasts, lunches, dinners, and snacks you’ll want to have on hand after baby arrives. We ate the same types of food for both lunches and dinners. Don’t be afraid to shoot for a large number of meals and snacks! Next, jot down some recipe ideas in each column and formulate a plan. It might be helpful to start with a Pinterest board to get some good ideas flowing! Focus on healthy, nutrient-dense food that you love to eat. Pencil in a few meal prep days on the calendar. Bulk cooking is by far the most efficient way to put up lots of food at once! Making extra large batches of muffins, cookies, snacks, soups, stews—okay, pretty much anything—will save you so much time and effort. Double, triple, or quadruple those recipes when you can! Don’t wait until a few weeks before your due date to start preparing your freezer meals! 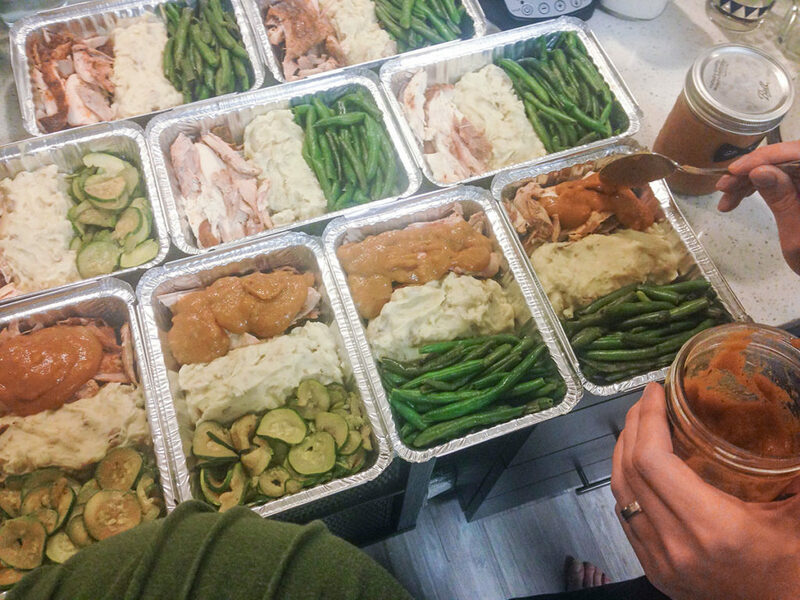 Get started as early as you can to keep the meal prep from feeling too overwhelming. Plus, the closer you get to your due date, the less you’ll probably feel like doing. 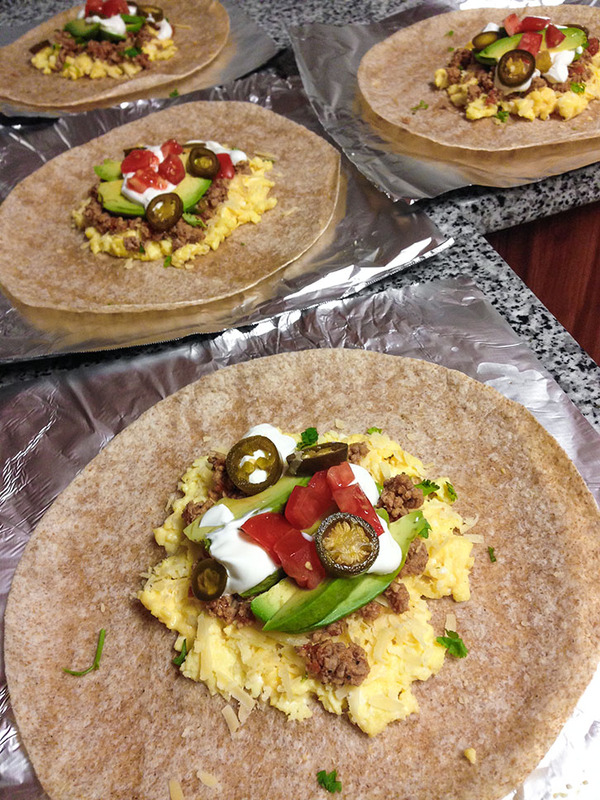 In addition to meal prep days, try doubling recipes a couple of times a week to help build up your stash. 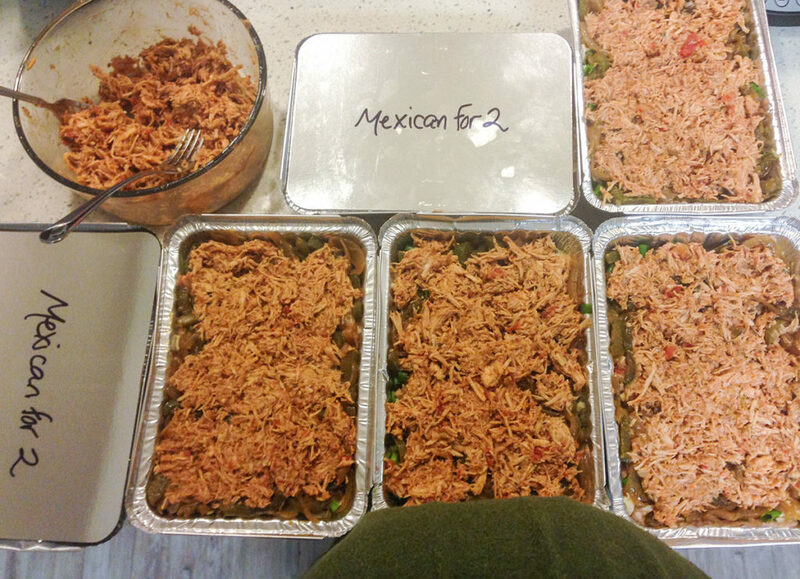 We moved into a new apartment when I was 31 weeks pregnant, so we didn’t have very long to prepare all of our freezer meals after we’d finally settled in. Next time around, I’ll be starting earlier! Don’t be afraid to ask for help! Putting up a few weeks’ worth of food is a huge task. My husband helped me a ton throughout the entire meal prep process! I couldn’t have done it without him. Also, we received a giant turkey from my husband’s work around Thanksgiving, a few weeks before Jack was born. My father-in-law smoked it for us, and my mother-in-law made us homemade turkey broth, gravy, and soup that we were able to freeze. All of the help was an incredible blessing! No-cook meals are my favorite kind to prepare! You simply do some chopping, add all of the ingredients into a bag, and stick it in the freezer. Then, before you’re ready to eat, simply thaw the meal and cook it in your oven or slow cooker! 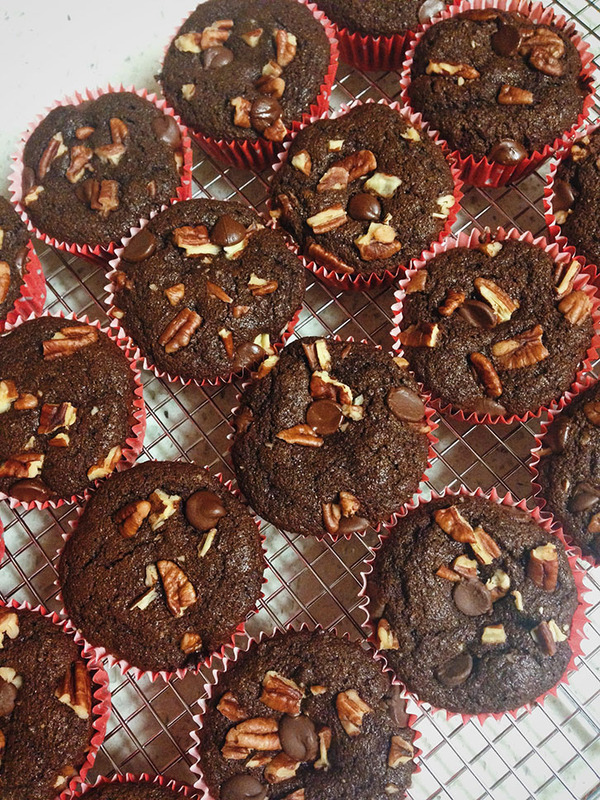 I highly recommend making some healthy snacks like muffins, breakfast bars, and lactation cookies. In the newborn days, you’re frequently nursing, soothing, and holding your baby. And if you’re breastfeeding, you’ll probably also be very hungry the first few weeks! So any snack that you can easily grab and eat one-handed is a lifesaver. Dollar Tree sells a variety of aluminum food containers in different shapes and sizes. Some even come in packs of 2 or 3! They’re a great way to pack lots of food into your freezer. We were able to fit two portions into each of these small, rectangular containers, which worked out great! Don’t forget to label the bags and containers before you put them into your freezer. Write the name of the dish, the serving size, and the date. As you add meals to your freezer, keep an inventory list that you’ll easily be able to reference. When the time comes, take a moment to note which meal you’re taking out so that you know what you have left. That way, you’ll leave yourself with a variety of meals—and not a week’s worth of chicken soup. Be sure to keep a list of the fresh foods you want to have on hand. Maybe you want to top your Mexican bowls with fresh lime wedges and cilantro. Or maybe you want some fresh vegetables available to make side salads. Whatever the case, write out each fresh food on your inventory list next to the corresponding meal. That way, you can easily make a list and send someone to the store for you. If you’ll need any pantry items, such as pasta, try to stock up on those before baby arrives. I’m not going to sugarcoat it—preparing a month’s worth of freezer meals can be a challenge when you’re making everything from scratch, but it’s totally worth the effort! 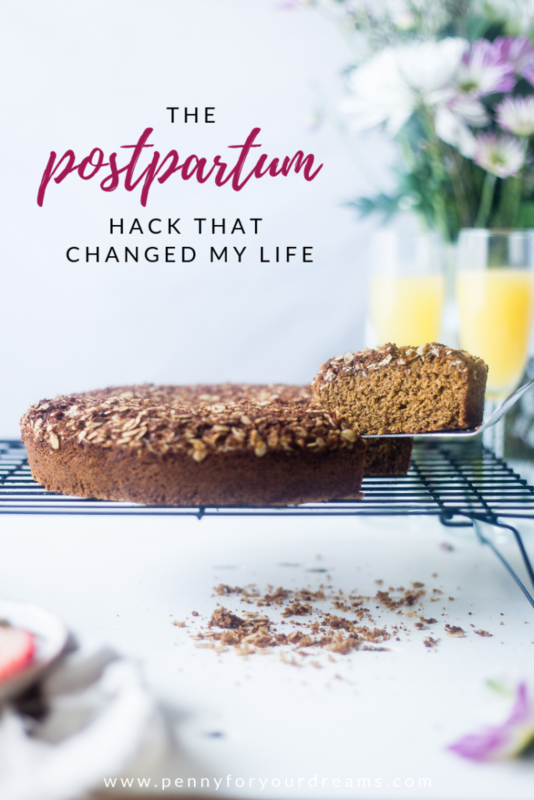 I hope this postpartum hack changes your life in the same way it’s changed mine, and gives you more time to soak up those sweet moments with your newborn! If you’ve already had a baby, which postpartum hack had the biggest impact on your life with a newborn? P.S. If you’re looking for some great postpartum recovery products, I made up this list of postpartum must-haves shortly after Jack was born!